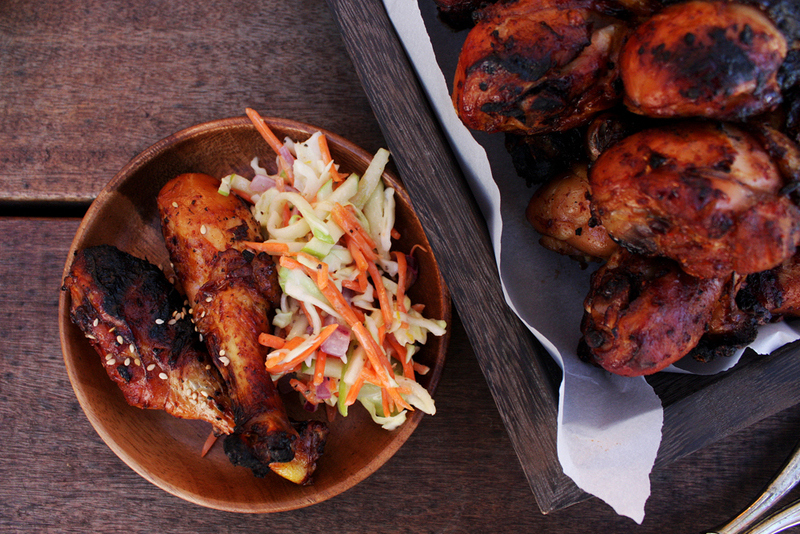 Put the chicken drumsticks in a large bowl and add all of the ingredients. 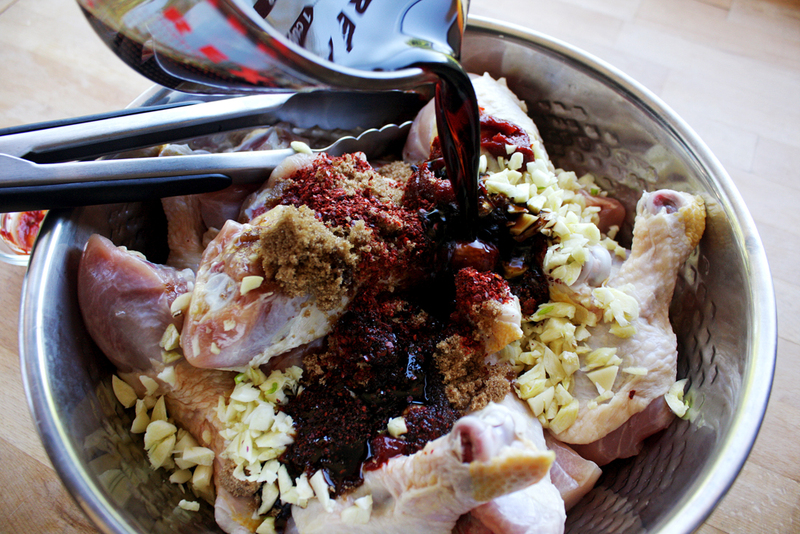 Using your hands, massage the marinade over each piece of chicken making sure the sticky gochujang is evenly spread out. Transfer the drumsticks into a large ziploc bag and pour in the rest of the marinade that was in the same bowl. 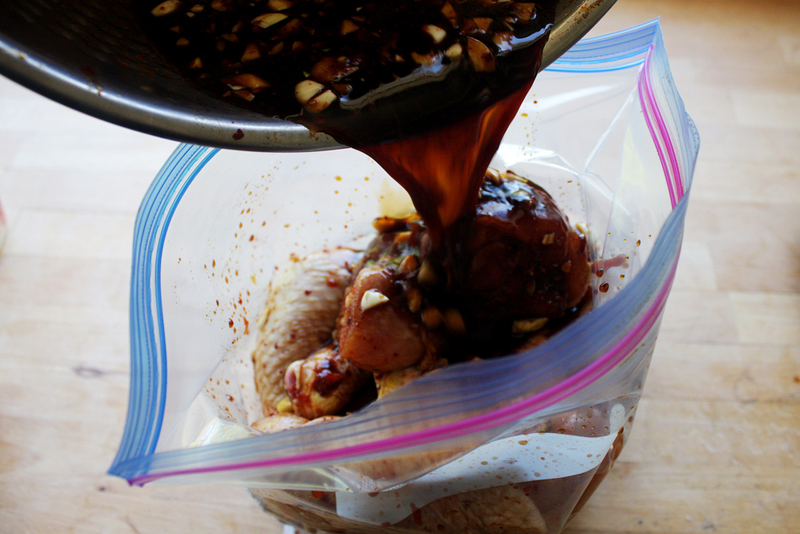 Get all of the air out of the bag so the marinade will evenly be on all of pieces of chicken. 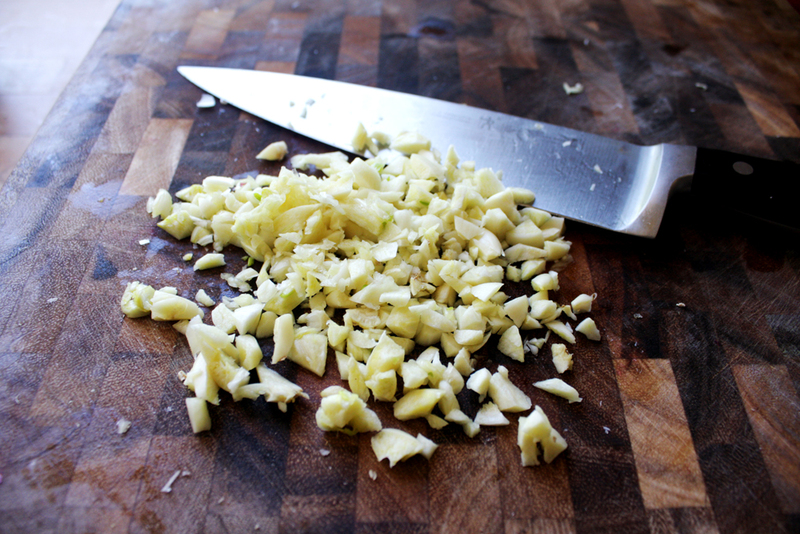 Refrigerate for at least an hour, preferably overnight. Shake off the marinade and grill the chicken on medium heat. Turn the chicken every 5-7 minutes, closing the grill lid in between turns. Cook for about 35-45 minutes or until the meat is not pink when you tear it away from the bone. 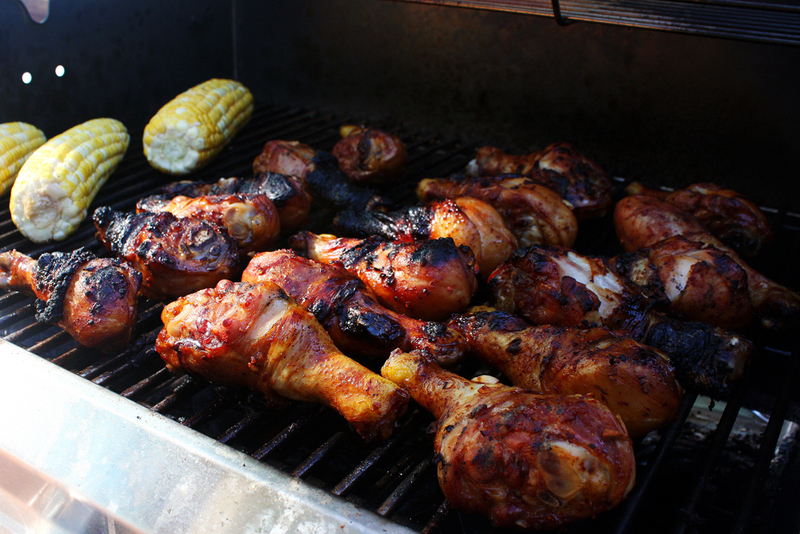 Serve with cole slaw and grilled corn, with sesame seeds on the side to sprinkle over the chicken.